"We've Had Issues Since 1955!" A large fight involving players broke out at the end of the home football game between Western Connecticut State University and Westfield State on Saturday, November 10, prompting both schools and campus police to launch separate investigations into the brawl. According to a press release issued by WestConn’s Police Department, the fight occurred around 3 p.m. near the athletic field on the Westside campus at the end of the contest between the Westfield State Owls, from Western Massachusetts, and the Colonials. No major injuries were reported, and despite a strong police response, no arrests were made on the day of the altercation. However, WestConn officials said this week that the incident is being investigated by the university, and that disciplinary measures against student-athletes involved in the fight could result from the school’s own investigation. WestConn’s Director of Athletics, Lori Mazza, described the fight at the end of the 27-13 victory by Westfield State on the Colonials’ home field as both appalling and embarrassing to WestConn’s football squad. Mazza said the internal WestConn investigation includes working with the university’s police department. A player from the WestConn football squad, who asked not to be named to avoid unwanted attention both on the team and at school, said he wasn’t directly involved in the altercation, but witnessed the brawl. The player said that tensions were running high between some members of both teams even before the first kickoff, with verbal exchanges between several players on each squad taking place prior to the contest on the gridiron. Describing the magnitude of the post-game physical fight, the WestConn player who spoke on condition of anonymity stated that police got involved when it seemed the coaches weren’t enough to stop the fracas. Westfield State’s Director of Campus Communications Tricia Oliver said in an emailed statement that Westfield is also conducting its own investigation into the “unfortunate” incident. 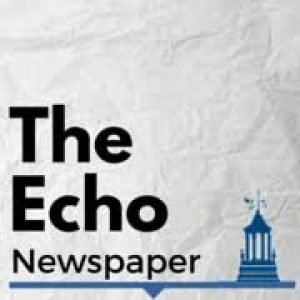 The Echo will be following the investigations into the fight and will cover any disciplinary actions taken by either university, the league or law enforcement. CONTACT US FOR ALTERNATIVE APPOINTMENTS!